A Greek government spokesman has dismissed reports that Greece is in talks with Turkey to extradite eight Turkish officers accused of participating in the failed July 2016 coup attempt in exchange for two Greek soldiers detained on Turkish territory, Greek newspaper Kathimerini reports. The two soldiers were formally detained near the Maritsa river on Friday, after stormy weather conditions reportedly caused them to lose their way on patrol and cross the border onto Turkish territory. Greek Chief of Staff Evangelos Apostolakis reportedly called his Turkish counterpart, Hulusi Akar, to discuss the issue. Media sources including Sky news had speculated that Turkey could set the extradition of the eight military personnel, who took refuge in Greece after the botched coup attempt in 2016, as a condition for the Greek soldiers’ release. Writing for the Turkish daily Hürriyet, Yorgo Kirbaki reported that the Greek media had raised questions about why a ranking lieutenant had been captured on patrol. 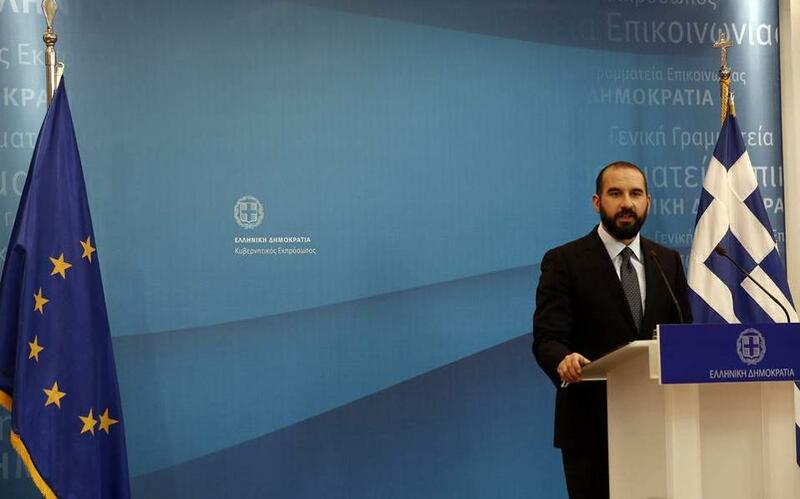 Greek Government spokesman Dimitris Tzanakopoulos dismissed the claims as a “conspiracy theory” and “unworthy of comment,” according to Kathimerini. He said earlier on Friday that the soldiers would return shortly, once formalities had been completed. Government spokesman Dimitris Tzanakopoulos on Friday dismissed as “conspiracy theory” suggestions that Greece is in talks with Turkey over the return of two soldiers who were arrested.